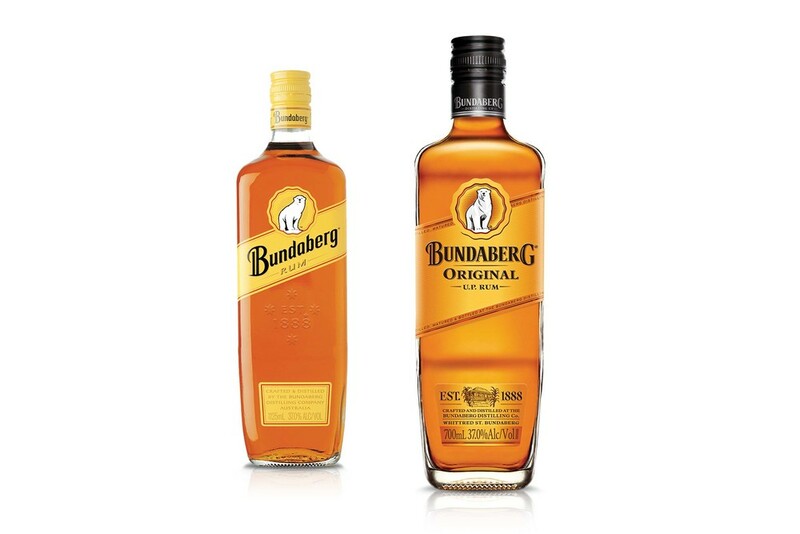 An iconic Australian brand that dates back to 1888 when the Bundaberg Distilling company started making rum from molasses… the by-product of the sugar refineries that dot the landscape of Northern Queensland. There is so much to admire about this brand, its entrepreneurial back story, its sheer tenacity, and its resolute distinctiveness characterised by the brand’s signature icon... a polar bear. As a brand we were suffering from low quality scores, and our loyal base was being exposed to new influences both in the alcohol category and in culture that reframed the value equation surrounding the brand. We looked low quality, yet expensive. We went into the brand’s past and to the wider dark spirits category to find a way to pervade quality whilst remaining proudly Bundaberg. A new bear was created. We made him feel older, wiser more stately, but he isn’t groomed, he’s rugged and has lived a life. Typographically we moved from the slanted word mark to a horizontal format, improving the legibility and stature of the brand in its slanted label. Additional elements were crafted to feature on the front of the bottle such as Spring Hill house, the original plantation house at the distillery, which is still there today as working part of the brands history. The brand experienced a 10 point market share turnaround and new product lines added to the brands success story.